Maintenance at the Noah Purifoy Outdoor Desert Art Museum. 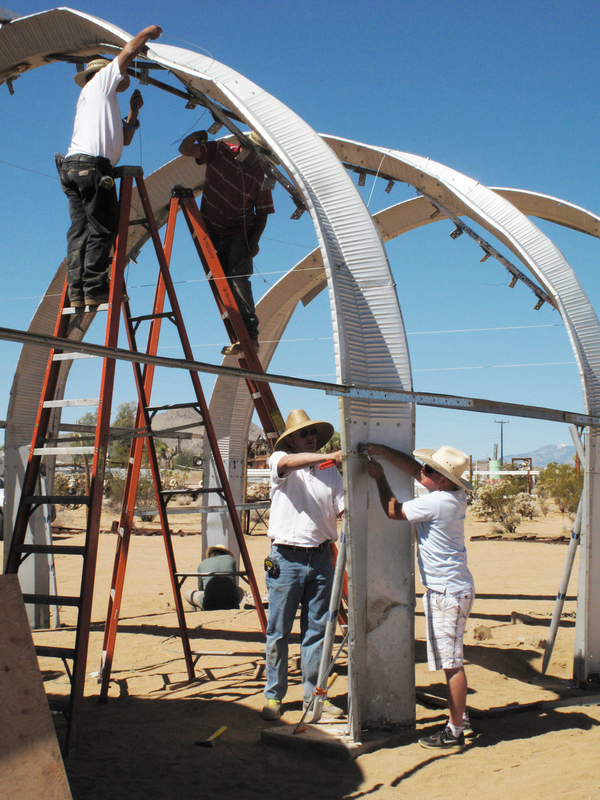 In 1998, Purifoy’s representative and colleague of many years, Sue A. Welsh, suggested to Noah Purifoy the importance of preserving his Outdoor Desert Art Museum of Assemblage Sculpture in Joshua Tree. The following year, the Noah Purifoy Foundation (NPF) was formally established as a 501(c)3 non-profit private foundation. NPF’s mission is to preserve and maintain the site Noah Purifoy developed in Joshua Tree, California as a permanent cultural center and sculpture park open to the public; to promote public recognition and appreciation for the values that Noah Purifoy’s work as artist and educator has embodied; and to pursue these goals in a manner that protects Noah Purifoy’s contribution as an artist and educator.